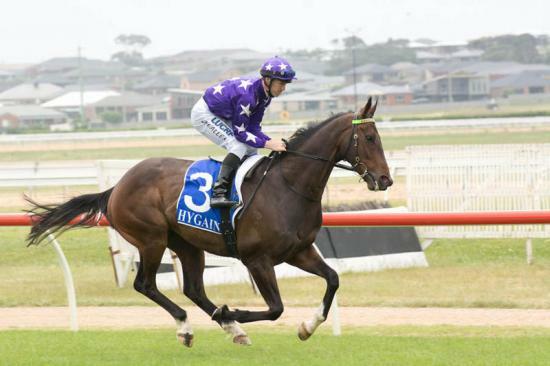 Strike Back made an impressive debut at his first start in Australia yesterday at Warrnambool winning a 1200 metre maiden. Irishman John Allen took Striker straight to the front and led all the way. The race never looked in doubt. He has not been an easy horse to train so congratulations to all of the team for their efforts in getting him to the races. All going well, Striker has a bright future!